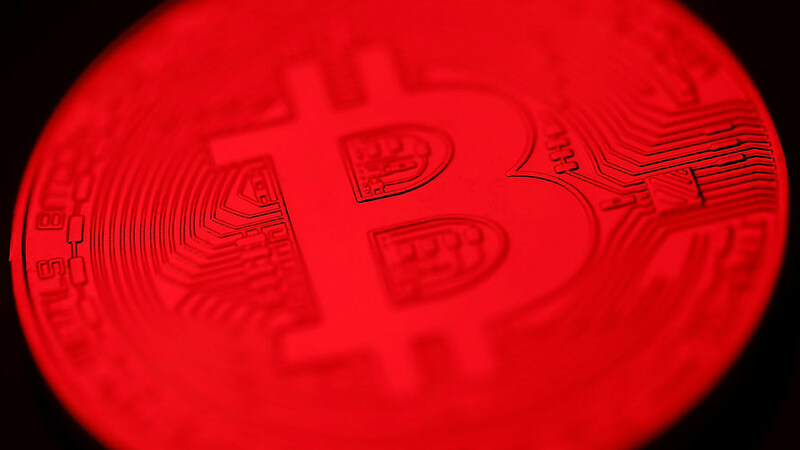 Bitcoin prices tumbled further on Monday, reaching their lowest level since October 2017. Coming off a week that saw the world’s largest digital currency plummet through $6,000, bitcoin has shed another 10% on Monday, falling below $5,000 to an intraday low of $4,749.00. In early afternoon trading, bitcoin BTCUSD, -4.52% was hovering near its low at $4,978.10, down 10.3% since Sunday at 5 p.m. Eastern Time on the Kraken cryptocurrency exchange. The broad-based selloff in digital assets has seen the total value of all cryptocurrencies fall to $166 billion, down more than $650 billion from its peak in January 2018. With bitcoin now down more than 60% year-to-date and more than 70% since its all-time high, Stephen Innes, head of Asia Pacific trading at Oanda believes further regulatory hurdles will push bitcoin below the next psychological level at $5,000, with further declines likely. “The digital token fell as much as 6.3% to $5,202, having plunged through a critical resistance level Wednesday after a period of relative tranquility,” he wrote. “I remain incredibly bearish on BTC with the $1,000 level looking as likely as $10,000. But this is from a longstanding and unwavering view that regulators and the banking system will continue to push back against the rise of virtual markets, and will undoubtedly burst crypto’s balloon as the $5,000 cliff edge is approaching fast,” he said. 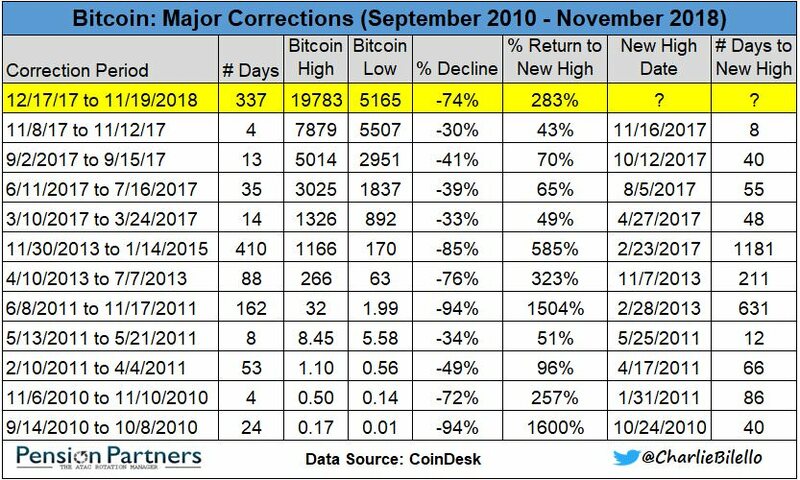 Bitcoin’s decline from its peak marks the fifth biggest drawdown since 2010, according to Charlie Bilello, director of research at Pension Partners. Altcoins, the collective group of coins other than bitcoin, tumbled to multimonth lows on Monday. Ether, ETHUSD, -5.73% the second-largest digital currency is trading at a 16-month low of $151.50, down 13%. Litecoin LTCUSD, -6.46% was down 12.9% at $36.33, Bitcoin Cash had shed 17.5% to $271.20 and XRP, XRPUSD, -6.45% was down 2.9% at 48 cents. Bitcoin futures crumbled on Monday with both front contracts closing down more than 10%. The Cboe Global Markets December contract XBTZ8, -3.77% finished down 11.4% at $4,802.50 and the CME Group November contract BTCX8, -3.99% closed the session down 11.3% at $4,845.